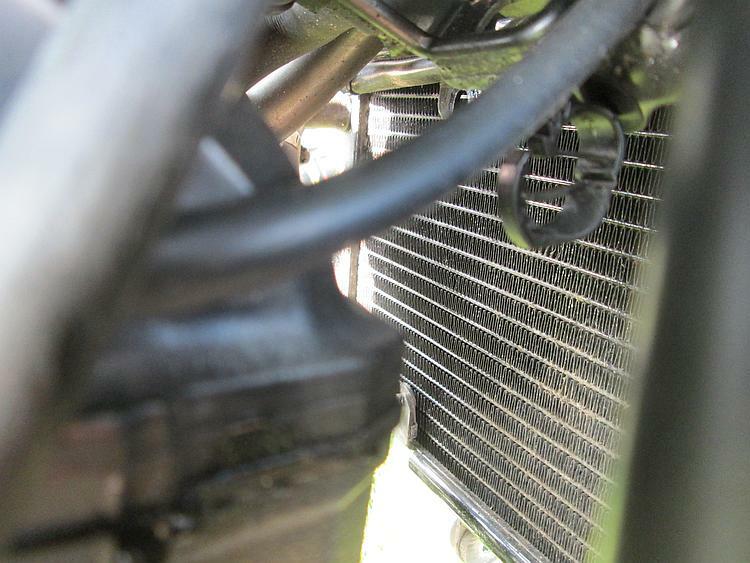 The fan to cool the radiator on Sharon's Kwakker Z250SL isn't quite normal. On all the cars and all the bikes I've worked on the fan is merely a fan behind the radiator. When activated this simply draws air through the radiator and pushes the hot air over the engine and thence onto the already warm legs of the rider. 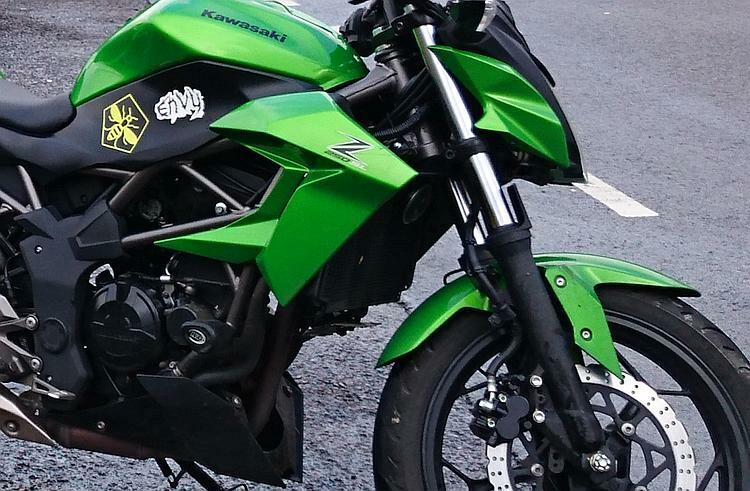 Kawasaki have been clever with the Z250SL. Yeah. They've fitted a cowl, a cover, a shroud around the fan so the hot air doesn't flow over the hot engine and onto the legs of the rider. The air is directed down towards the front of the engine and the front wheel. 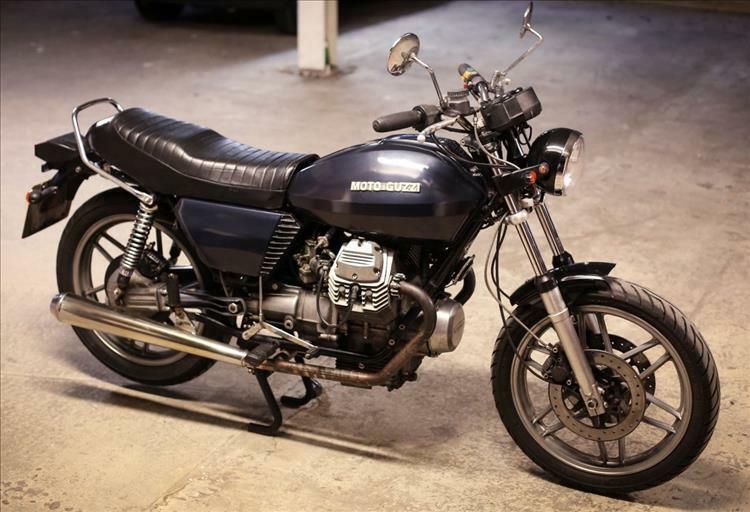 Here in the soggy and oft chilly climate of the UK this is probably overkill but we already know the Z250SL is popular in Malaysia and other such hot places. Perhaps this little plastic cover is a real selling point? 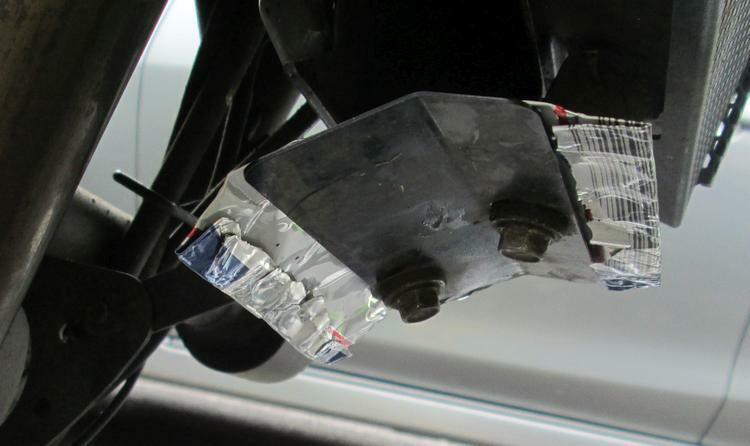 The plastic cowl or shroud exits at the bottom of the radiator. Oh yes Kawasaki might be onto a real genius brainwave for the hot places. I fear they may have dropped a clanger here in soggy, dirty, rain soaked Blighty though. While exploring the deepest darkest recesses of South Wales Sharon's fan came on and produced a most horrible grinding whining racket. For a brief moment is sounded like a SDS hammer drill then changed to a screeching howl. It sounded like muck in the fan to me. It sounded terminal to me. 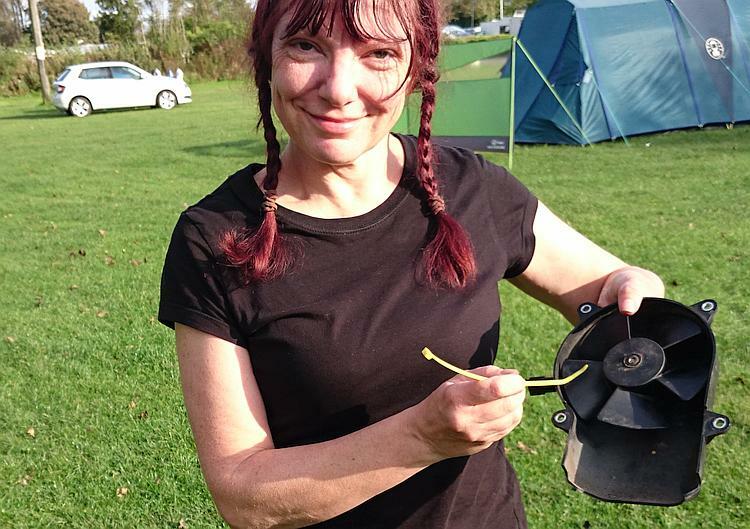 While on a campsite in Tenby I removed the fiddly fan and Sharon poked, prodded and manipulated a zip tie into various orifices until dirt came out and smooth operation was resumed. You can colour me impressed, she's a determined bugger that woman. We replaced the fan and hey presto - normal operation. Hellish fiddly to get out but we did it. Look how happy she is! Fan spinning as it should. Sharon asked an important question - why did it get dirt into the fan and how can we stop it happening again? She's not stupid, well, not all the time. I and several others have already griped at length about the lack of length in the modern front mudguard (fender for the Yanks). If Sharon's mudguard were of a sensible length then dirt infested rainwater from the road would not be thrown up into the shroud or cowl thingy. 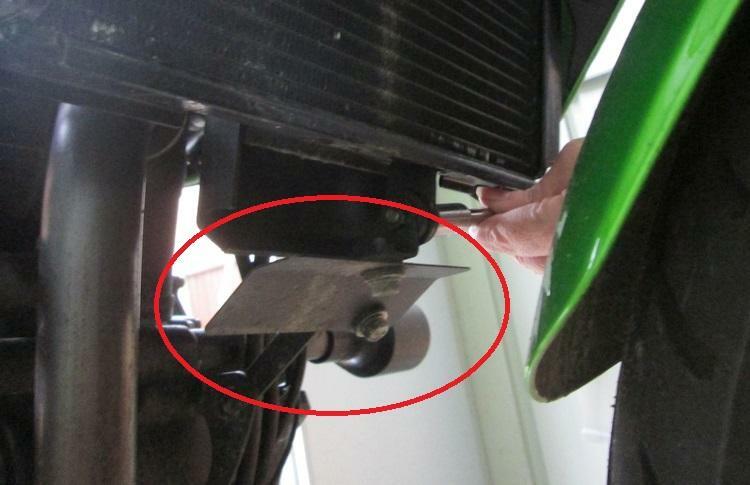 Ahhh - Kawasaki has thought of this and there's a small metal plate to protect the exit of the cover from ingress thrown up by the front tyre. But - it's not big enough. I don't know why they bother fitting these short little mudguards. Yeah it covers the cowl exit. Just. Barely. Not enough. Fashion. Big mudguards are obviously out these days, modern mudguards are like gentlemen's ties, a kickback to a once useful neck warmer that's now a pointless accoutrement. Also having large bits of metal in front of the engine and radiator cowl exit might upset the aesthetic sensibilities of some trendy hipster cool folks. Hence the bit of metal is too bloody small. So what's a scruffy oik on a campsite to do? Neither of us want to re-soil the delicate fan once again but unfortunately I have only basic tools and no pieces of suitable plastic, metal or even wood. Fear not dear reader, captain Bodgeit has a plan. Sure enough there's a beer can in the bin, judging by some of the other camper's antics I could probably build a whole bike out of last night's empty tinnies. I have pliers and a knife. I have an incredibly limited knowledge of origami. Most importantly of all Sharon is fast asleep in the tent so I don't have to justify everything. Tain't purdy but it does what's required. I am a genius, a wizard and a muppet! OK, allright, yes, of course it's hardly a work of art or an engineering marvel. But it's 0700 in the morning on a campsite and I'm doing the best I can with the materials to hand. It is meant to be temporary, I can create something "better" another time and then let Sharon make it "pretty" and "nice". But for the rest of the trip this is considerably better than the undersized plate already in situ. I gingerly tell Sharon I've made an alteration to her motorcycle. it is the fastest I've ever seen her get out fo bed! I am prepared. I have made my peace with the world and I do realise that I have had a good life. If it is all to end now at the hands of a psychotic hobbit then I ought not to feel short changed. I wait patiently in the tent for the "coup-de-grace" but it doesn't come. Sharon must be in a forgiving mood today. Phew. SEE ALSO - Z250SL Radiator Fan Protector where we create a more permanent fixture. As expected a well over engineered bodge. Always remember to carry a ren in your bike toolkit wherever you go. I'm hoping to do a proper job soon. I'll cobble summat more permanent then Sharon can make it look smart and professional. Although not the sort of thing you might carry about with you, how about a short length of that square section, flat bottomed plastic guttering? Can be cut with snips or a small hacksaw and filed to any sort of pretty shape the good lady's hear desires. Somebody recently came to me with the broken bracket end of the chain guard on their young sons bicycle, I cut the bottom off a deodorant aerosol (Slightly thicker than the body of the can) Hammered it flat on the back of the vise in my garage, drilled a couple of holes in the right places and found a 5mm bolt of a suitable length with a nut and a couple of spring washers.....little lad went away happy, so did his mum. I havn't seen them in a couple of weeks, so I reckon it is holding up fine. Who was who said, "It might not be the best solution, but when it worked I just stopped thinking about it"
Cheers Ted! We have actually done a more permanent fixture just this weekend and the results of this will be brought to this website quite soon. Pirsig's artistic mate had a BMW whose handlebars had become a bit floppy as the clamps weren't gripping the bar. 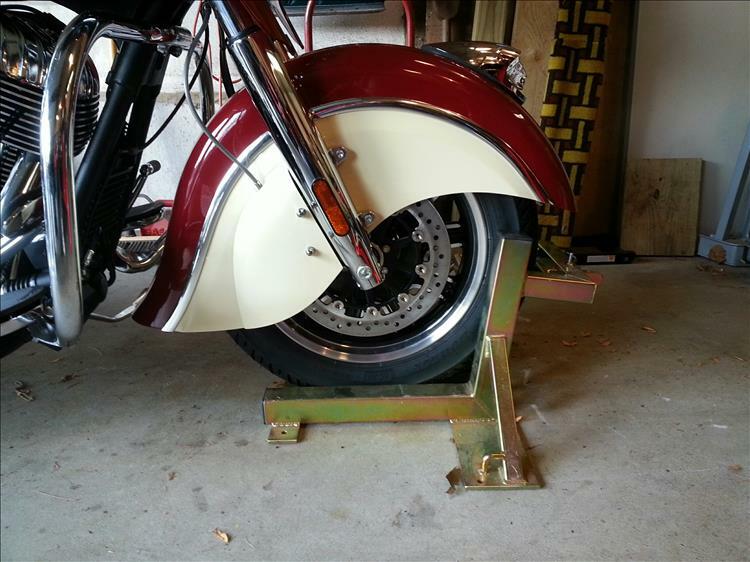 Pirsig's solution? Shims. 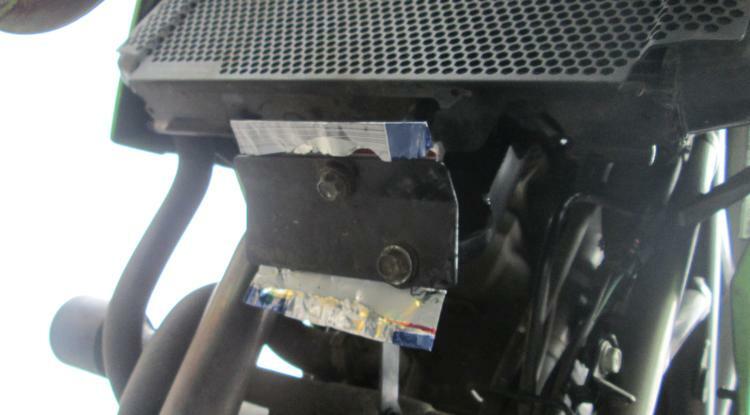 Mate became quite keen until Pisrsig dug an old beer can out of the bin and started cutting it up to make said shims. Mate absolutely horrified at the idea of fixing his expensive Bavarian steed with old junk and stormed off. Pirsig said that of course this was the perfect material; cost nowt (or the US equivalent) and would be similar material to what BMW would have used themselves. Or to put it more briefly, an engineer is someone who can make for 10p what any fool can make for a quid. See you can't get away from me even when I'm enjoying a coffee overlooking the Corinthian Gulf. An elegant solution you say? I was on a campsite. I only had basic tools with me. I was hardly in a situation where I had access to a lathe, swathes of sheet steel and other suitable flat materials, grinders, gutting tools or even basic measuring tools. Give me a break! As stated previously we have already engineered a better looking and more permanent solution. Details to follow soon. I agree wholeheartedly about the useless short mudguard on modern bikes (what can possibly be trendy about a filthy and perhaps damaged engine, rad etc?) which makes a fender extender mandatory really. I also tend to add a flappy plastic mudflap to the bottom of that too. Cool? Nope but you can hardly see the things and the improved cleanliness and lack of stone chip damage is remarkable. So we agree the modern motorcycle mudguard (or Fender if you're Amuuuricaan) is pathetic. But not all modern mudgaurds are - in fact some (Amuuuuricaaan) cruisers have gone perhaps too far the other way. We need to find a happy compromise. Could it be red ATF that's emulsified a bit Ian? COR! That mudguard is fabulous! It's not even long enough to protect the head bearings from a good soaking so it must be sexier than a pole dancer I'm sure. To cap it all off the pink gear oil is just the icing on the cake. I would have thought a man of your calibre would be able to spot such things at the time of purchase. I'm sure if you look more carefully you'll find the ports have been gas flowed with a chisel, lots of instant gasket in the oil and seals made from old inner tubes. I know these things as it's the sort of thing I'd do. 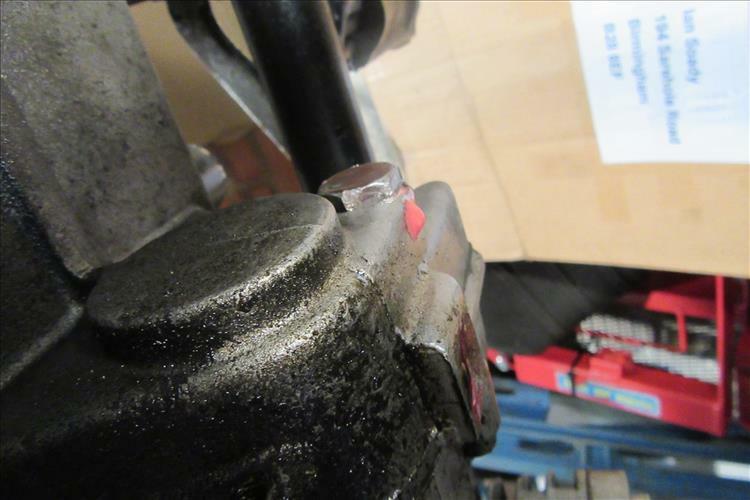 Does the Guzzi have a separate gearbox or is this gear oil in the bevel drive? Separate gear box (layout a bit like a car with an engine speed clutch). It has been suggested that the oil is Red Line something or other but it's being replaced with good old 75W/90. And I'm sure when I put it (the mudguard) on ebay people will be falling over themselves. Similar to the BMW twins in layout then - which makes sense as the whole layout shares a lot in common. Dry clutch? I'd list that mudguard for over £300. If it's expensive then it MUST be good.